The textile in this scan is courtesy of the garden’s new education coordinator, Nadine Diner (2018 edit – now departed), who purchased the item during a recent trip to the Jalapão region of Brazil. 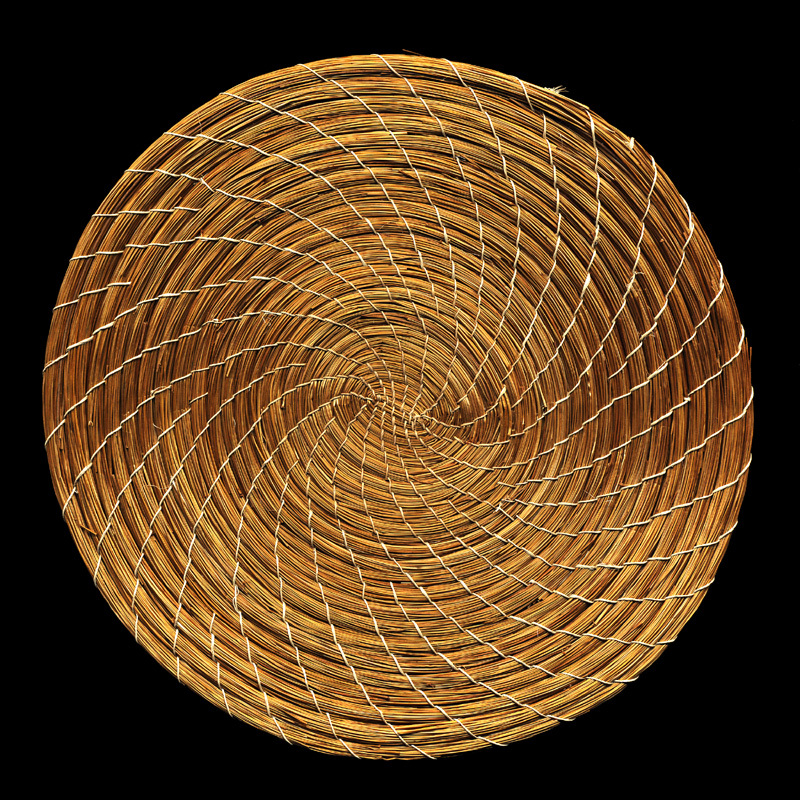 The object is woven from the scapes of capim dourado–golden grass (Syngonanthus nitens)–and bound with fibres of buriti palm (Mauritia flexuosa). Despite its common name, it isn’t a true gras. It belongs to the family Eriocaulaceae, not the grass-encompassing Poaceae. Instead of rewriting what already exists online, I’ll direct you to the best resources: a short summary of capim dourado with photographs; some of the textile products made with capim dourado; and two galleries of photographs from the Jalapão region (gallery 1 accompanied by a written blurb and gallery 2). I’m a student that lives here in Tocantins State, Brazil, and Jalapão it’s in my State, I’m writing a paper about a traditional community that works with Capim Dourado- Syngonanthus nitens, and I would like to know about publisher from there about Capim Dourado.